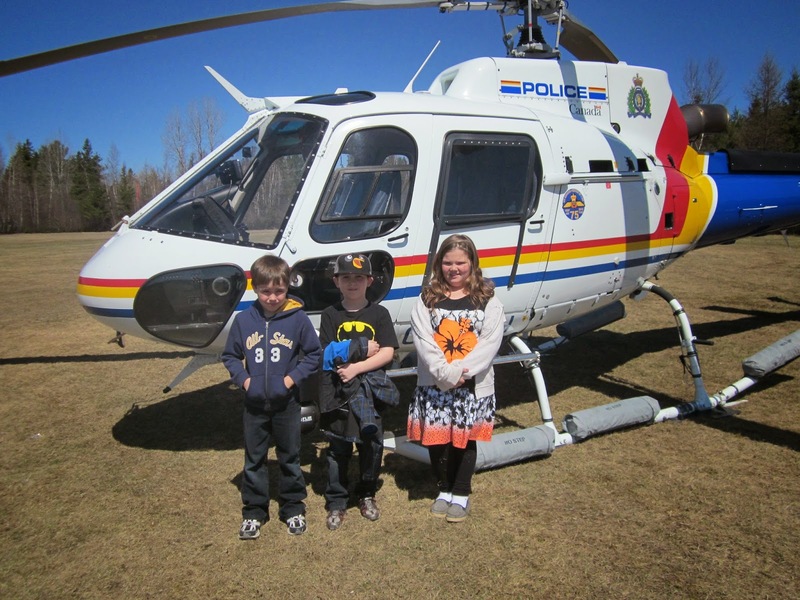 Kindergarten to grade five students at Blackville School were visited by members of the Royal Canadian Mounted Police (RCMP) on Tuesday, May 13. The students watched the landing of a police helicopter, and they got to meet a trained police dog. 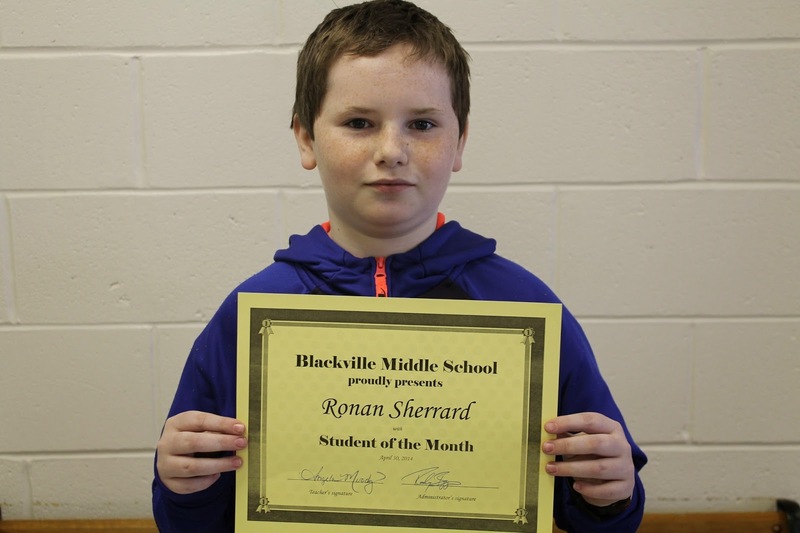 Student of the month for Mrs. Moody's homeroom class is Ronan Sherrard. Ronan is hard working and shows respect for others. Student of the month for Ms. McEvoy is Aisha Jardine. Aisha is hard working, especially kind and helpful and has made outstanding efforts. She also shows respect for others and academic achievement. 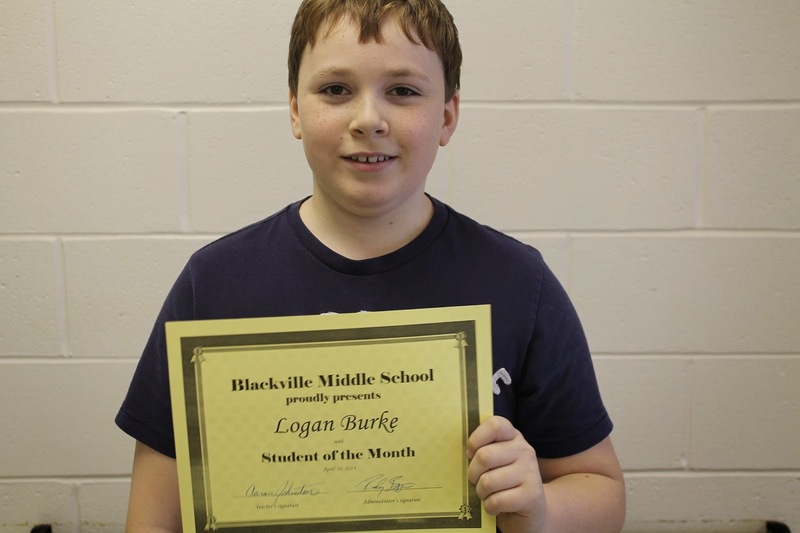 Student of the month for Mr. Johnston's homeroom class is Logan Burke. Logan is hard working and is especially kind, thoughtful and helpful. Logan shows leadership skills and has respect for others. Student of the month for Mrs. Waugh's homeroom class is Hailey Tucker. 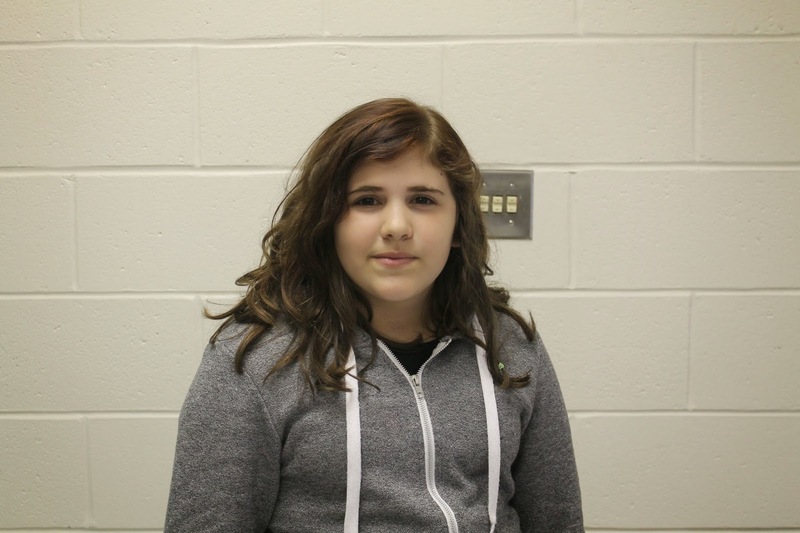 Hailey is a kind and understanding student and shows respect to others. 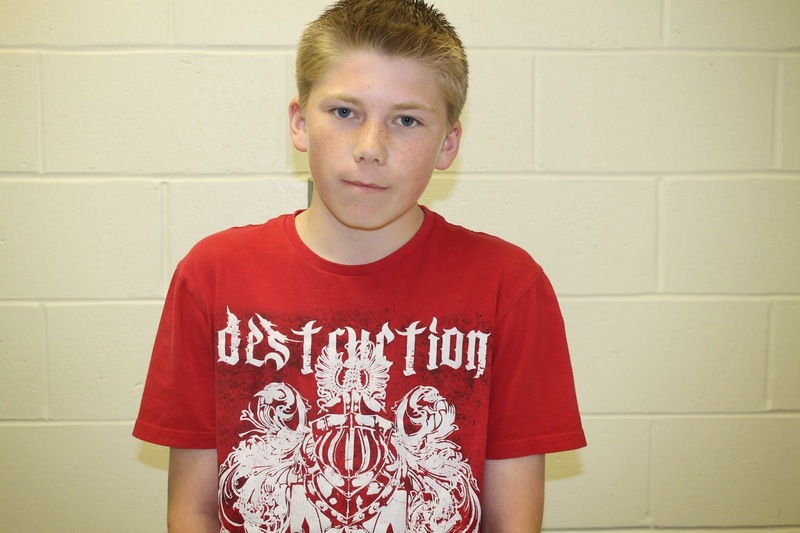 Student of the month for Mrs. O'Keefe's homeroom class is Brett Jardine. Brett is hard working and especially kind, helpful and thoughtful. Brett has made an outstanding effort and shows respect for others. Student of the month for Mrs. Steeves's class is Janet Jardine. Janet is hard working, has an outstanding effort and great academic improvement.